Creme brulee has been a classic dessert favorite for centuries. Its creamy base and brittle caramel top are perfect for finishing off any style of meal. This dish is typically made with a bain marie, which can easily ruin the delicate custard or make a mess in your kitchen. Our recipe instead uses a combi oven that cooks with steam, so you don’t have to worry about the water bath or the time needed to bake the custard in a convection oven. 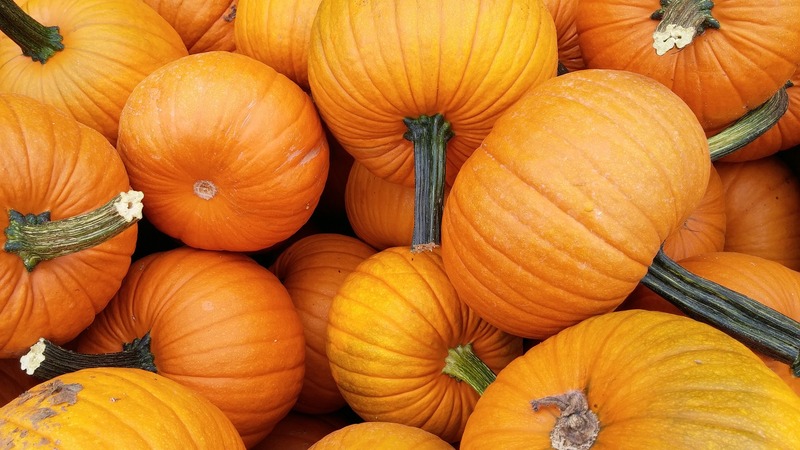 If you want a seasonal dessert that will avoid these pitfalls and raise your profits, keep reading to find out our recipe for 18-minute pumpkin creme brulee. 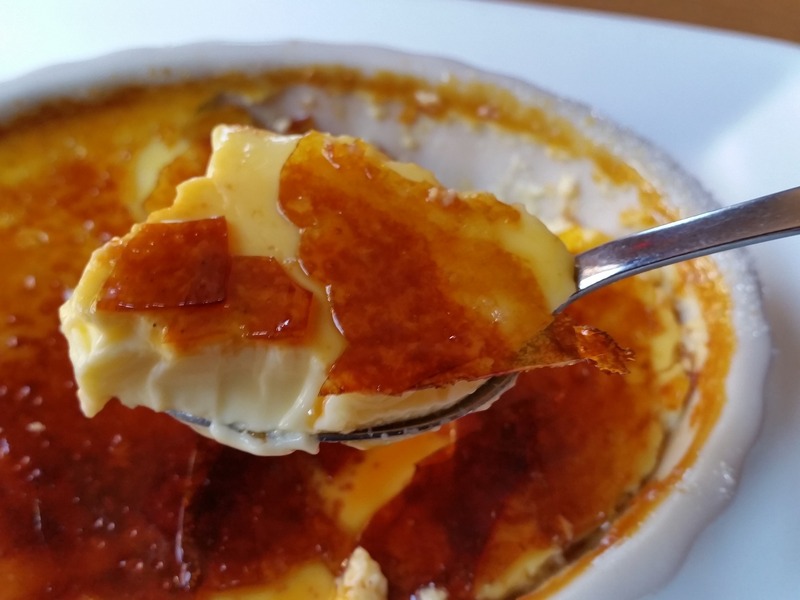 The term “creme brulee” means “burnt cream” in French. This makes a lot of sense since the recipe consists of an egg custard that’s topped with a hard caramel coating. Usually, the custard is baked in a bain marie, or water bath, before being sprinkled with sugar that's burned and caramelized with a broiler or butane torch. This can be a lengthy process, with the custard baking in the bain marie for close to an hour. However, we made our recipe with a combi oven, which uses steam as a cooking method to evenly distribute heat, eliminating the need for the water bath. Traditionally, the dish is only made with vanilla, but many restaurants add other flavors to make the dish seasonal or more appropriate for a specific event. Chocolate, lavender, citrus, and cinnamon are all popular options. We chose to include pumpkin and some autumn spices in our recipe because nothing screams “fall” quite like pumpkin. Like most classic dishes, the exact origin of creme brulee is unknown. The name would suggest a French origin, and there have been documents dating it as a French dessert as far back as 1691. There are also Trinity cream and crema catalana, which are similar desserts from England and Spain that claim to be the origin of this dish. Why is Creme Brulee Popular? While it sounds fancy and is often served in upscale establishments, creme brulee is very simple and inexpensive to make. With only a handful of ingredients, you can create a dessert that looks and tastes more complicated than it is. As an added bonus, by using a combi oven instead of the traditional bain marie, you can speed up the time it takes to prepare the dessert and won’t need to worry about a stray splash of water affecting your bottom line. The style of restaurant, serving size, and recipe you decide to use can affect how much this dish costs to make as well as how much you charge for it. We looked at menus from a variety of different restaurants and other foodservice establishments that serve creme brulee and found that the prices ranged from $6-$12, with most listing around $8 per serving. Even with the extra spices and ingredients added in, our recipe only cost about $3.50 to make one serving, which leaves you with a large profit margin for this sophisticated treat. Our recipe makes 6 servings of creme brulee that are 4 oz. each. The ramekins we used were deeper than traditional creme brulee dishes, so they require longer baking times than their shallower counterparts (about 18 minutes as opposed to 11 minutes). Check out the video below for our full recipe for pumpkin creme brulee! Combine all the ingredients in a large bowl and whisk them together. Strain the cream mixture into a pitcher. Pour the batter into 4 oz. ramekins. Preheat your oven to 220 degrees Fahrenheit. Steam your batter at 220 degrees for 5 minutes. Lower your oven’s temperature to 212 degrees and steam for an additional 13 minutes. Remove your ramekins from the oven and put them in a refrigerator or blast chiller for at least 10 minutes or until completely cool. Keep the custard cool until you’re ready to serve. Right before serving, sprinkle a thin layer of sugar on top of the custard, and brown it using a torch. Pumpkin creme brulee is a delicious seasonal treat that your customers will love. While it seems like a complicated, time-consuming dessert, you’ll be amazed at how quick and easy it is to prepare. Best of all, by using the steam settings on your combi oven instead of the traditional water bath, you won’t need to worry about ruining your custard or making a mess with the water.